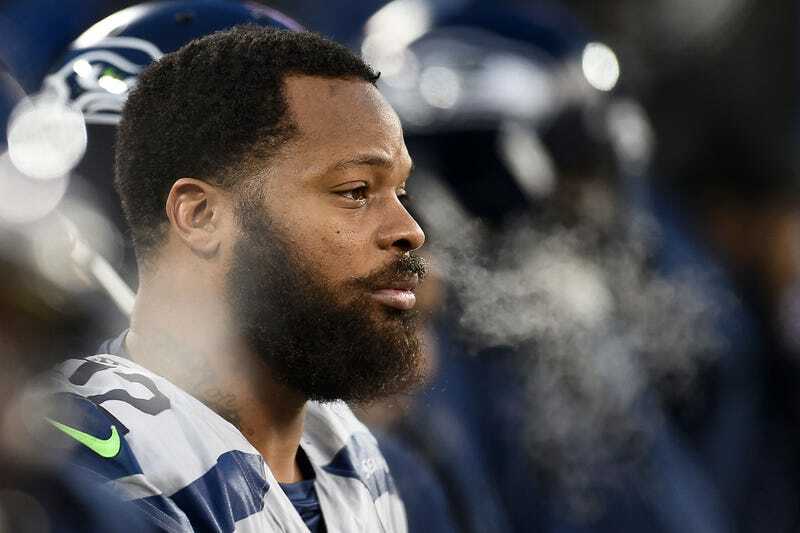 Seahawks DE Michael Bennett became the latest NFL player to sit for the national anthem, ahead of Sunday’s preseason game against the Chargers. He referenced the still-unsigned Colin Kaepernick (of whom Bennett has said, “of course he’s being blackballed”), but Bennett said this weekend’s white supremacy rally in Charlottesville and accompanying violence is what spurred him to act. “Seeing everything in Virginia...I just wanted to be able to use my platform to continuously speak out on injustice,” Bennett said. Bennett remained on the bench with a towel over his shoulders during the playing of the anthem in Los Angeles, rising to join his teammates after the song finished. Bennett said he will continue to sit for the anthem this season, joining other players like Marshawn Lynch, who did so during the Raiders’ preseason game on Saturday. From a personal standpoint, the protests, kicked off by Kaepernick last year, have been useful in helping me question my own assumptions about the anthem’s place, and making me kick myself for not questioning them sooner. Why do we play the anthem before sporting events, and not, say, plays or movies—what does football have to do with America? Why do we stand at all—should we be paying unthinking fealty to a nation that so often doesn’t have its citizens’ best interests in mind? One particularly disingenuous connection—that the anthem before NFL games somehow has anything to do with the military—is often made to criticize protestors, but Bennett knocked that idea down. “First of all I want to make sure people understand I love the military — my father was in the military,” Bennett said. “I love hot dogs like any other American. I love football like any other American. But I don’t love segregation, I don’t love riots, I don’t love oppression. I don’t love gender slander. If you find yourself offended by anything there, well, that says more about you than you think it does about Bennett.